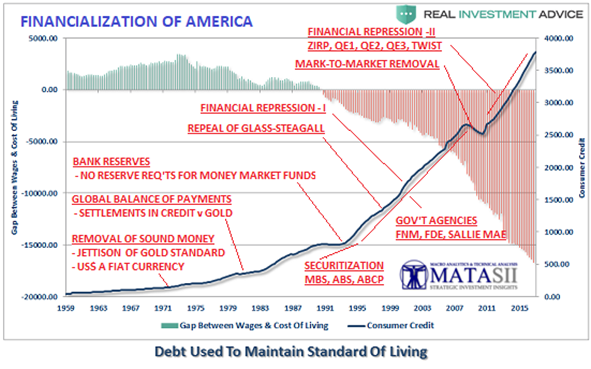 Since the US lifted anchor on the Gold Standard in August 1971 making the US Dollar a Fiat Reserve Currency, the US economy has been propelled forward, no-longer tethered to the principles of Sound Money. Unfortunately, the reality is that this sort of political expediency is the equivalent of building a house on a foundation of sand versus solid bedrock, dooming it to be unable to withstand the economic storms and turmoil that inevitably lie ahead. As a consequence International Balance of Payments were by 1980 forced to be settled through the use of credit. 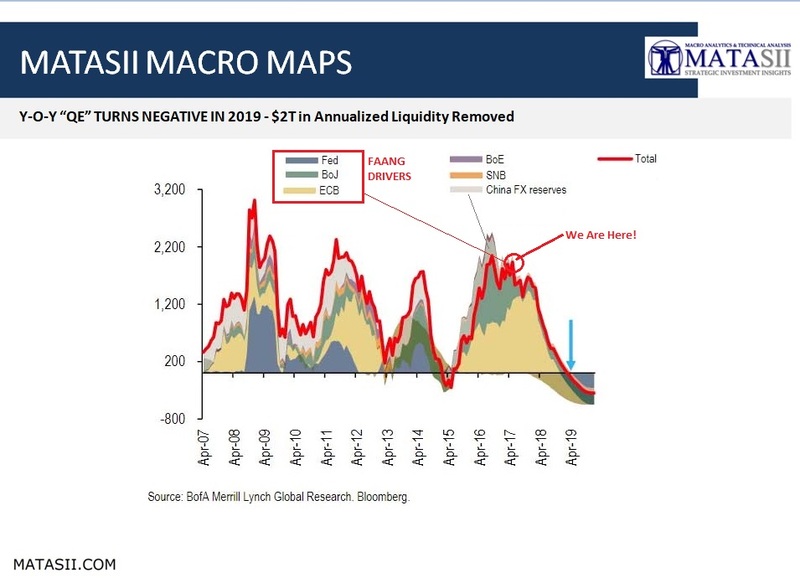 Credit which then exploded in growth with the mounting US trade deficits financed by Foreign and Japanese mercantilism, where the BOP settlement credit was used to buy US Treasuries, thereby triggering a steady fall in interest rates. 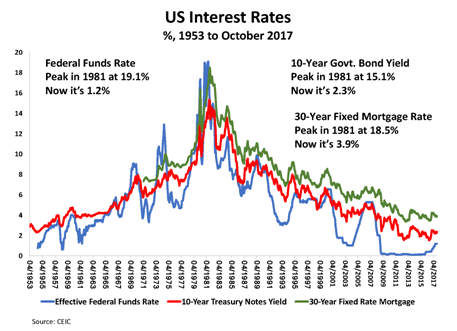 Falling interest rates were also assisted by the parallel explosion in newly created high yielding Securitization products which could be placed on balance sheets as assets and then used as collateral to fund more credit. Credit which additionally found its way back to the lucrative US Treasury market, further pushing yields lower. All of this was financially clever but risky. 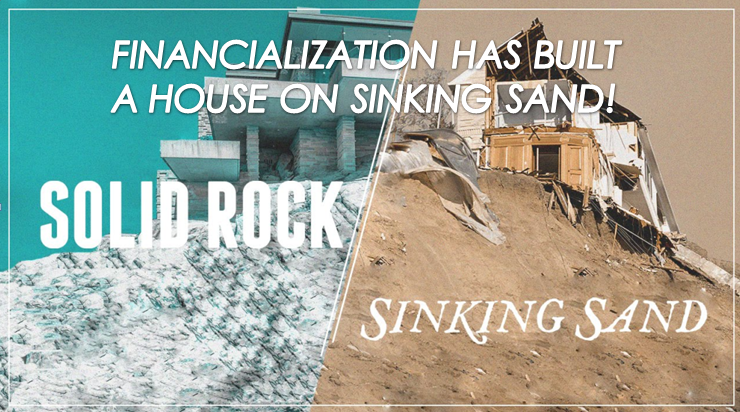 The 2008 Financial Crisis which was triggered by mortgage securitization products which forced the "Conservatorship" of Fannie Mae and Freddie Mac tried to warn us of the "sand" the Financialization of our economy was being built on - but was quickly forgotten. Falling yields for holders of long dated notes and bonds was a capital gains bonanza. The Capital Gains additionally became available as collateral for yet more credit. 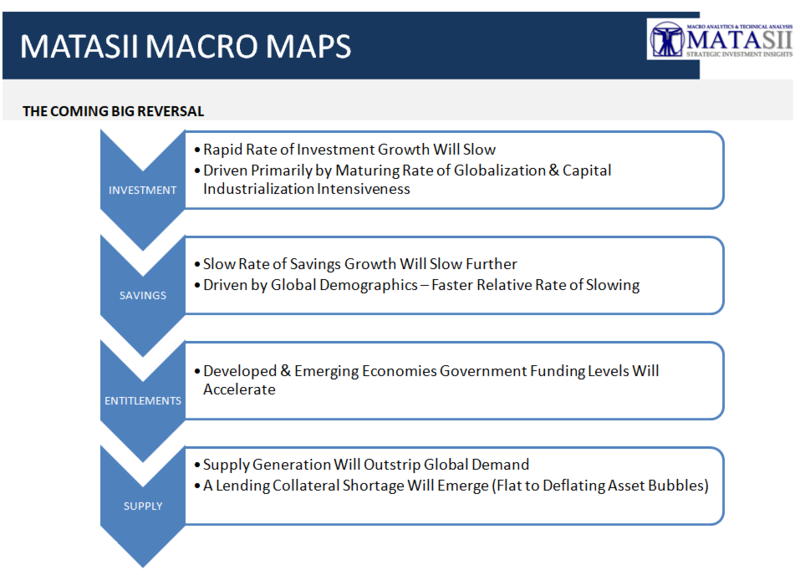 Investing in innovation, productivity and industrialization fell as a secondary priority to financialization games like borrowing for buybacks and dividend growth versus capital equipment investment. The flywheel then only got faster as it was aided and abetted by "quick fix"regulation changes to goose the economy anytime it dare stray from its parabolic rise. 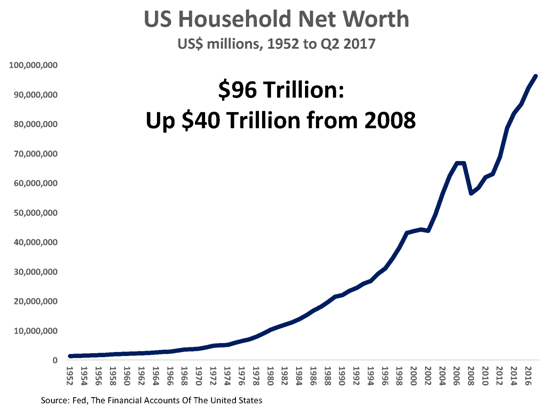 MACRO ANALYTICS - 10 05-17 - The Results of Financialization - Part II - "Nationalization"
Household Wealth exploded and is still presently growing almost exponentially. 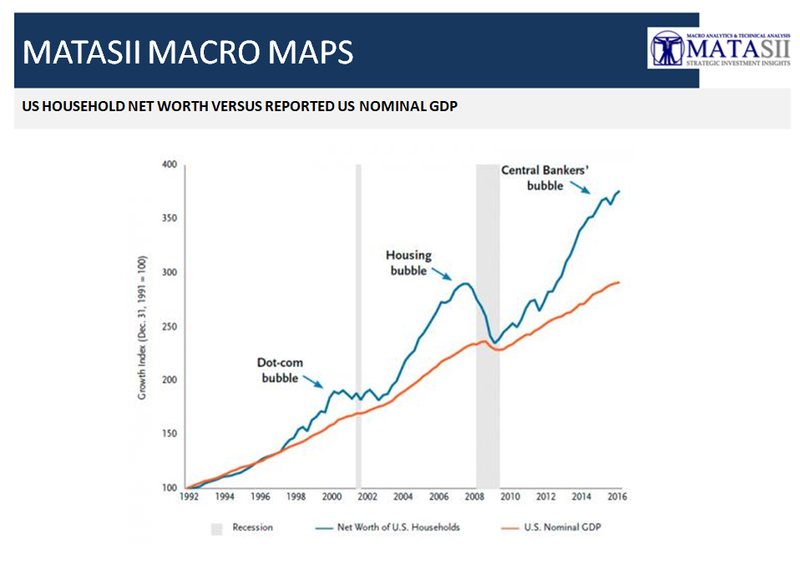 Investment Leverage exploded as more apparent wealth allowed further collateral to create even further leverage. 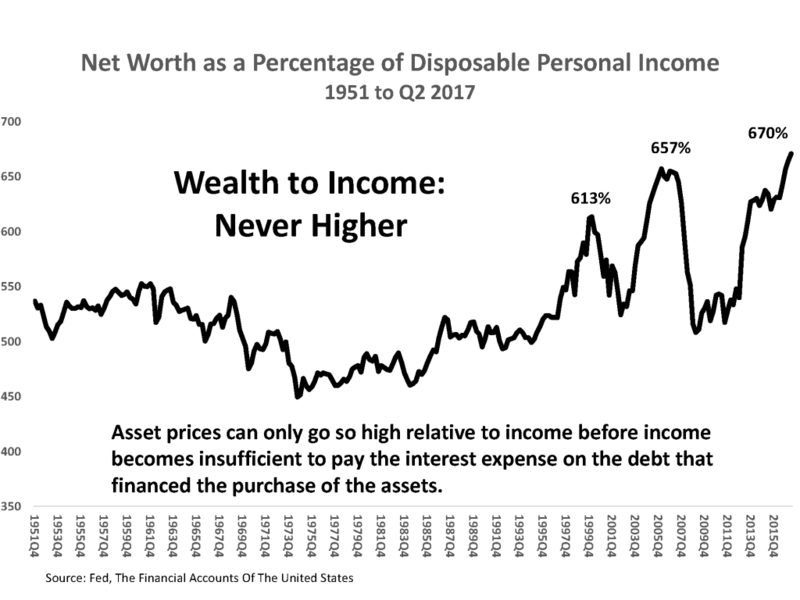 ... but the question now is becoming more and more: "but who can afford these asset values any longer?". 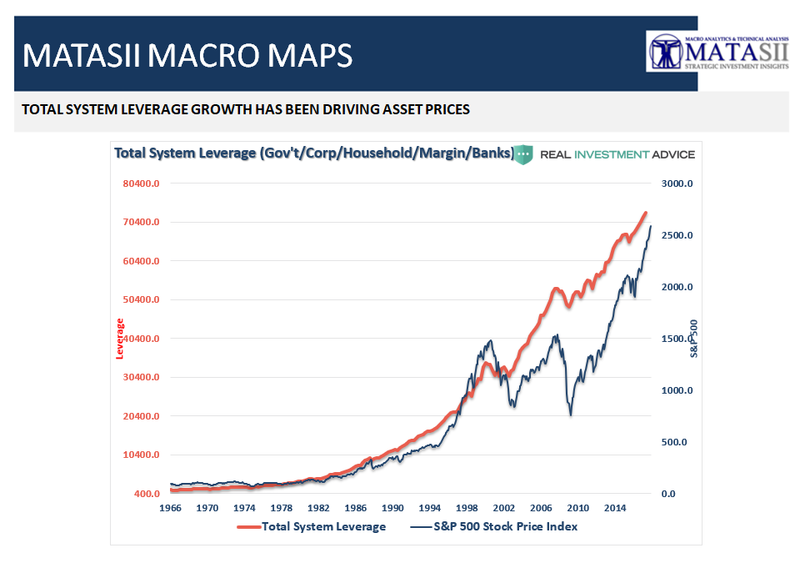 This has historically been a market turning point for valuations. IN THE SHORT TERM, what happens if credit supporting collateral values fall? We would expect it to get ugly fast! 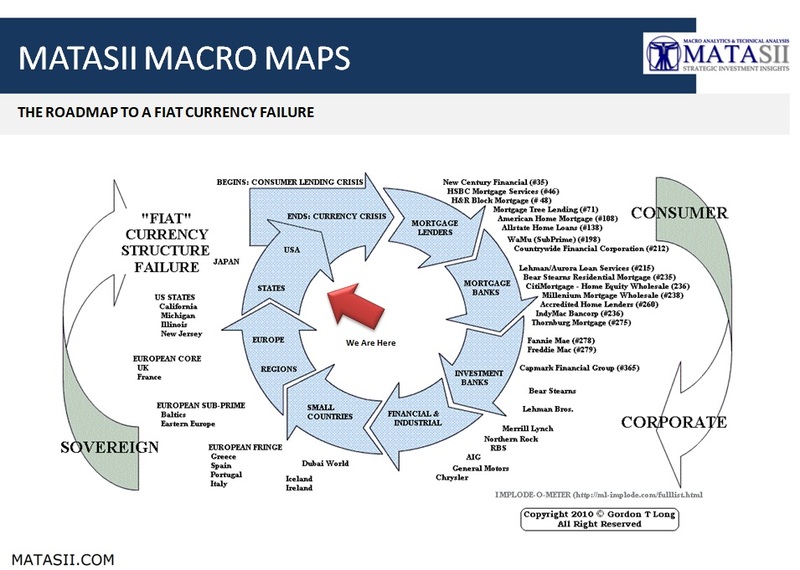 "Will fiat currencies survive the policy dilemma that the authorities will experience as they try to balance higher yields with record levels of debt? That’s the multi-trillion dollar question for the years ahead!